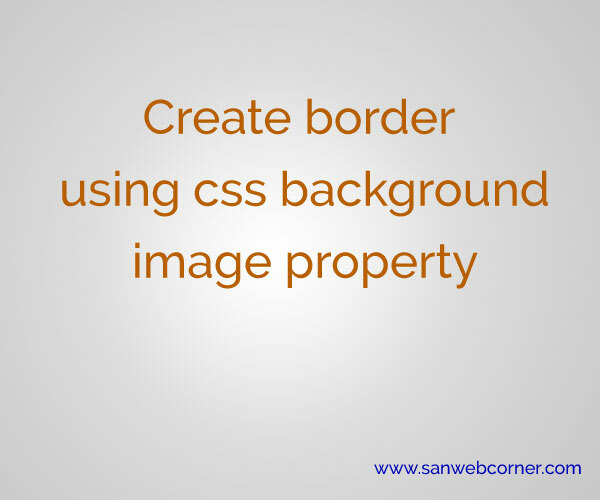 This is one of the very simple method to create the vertical and horizontal border using the css background properties. Here i am using the background image as a one image element to create a border. 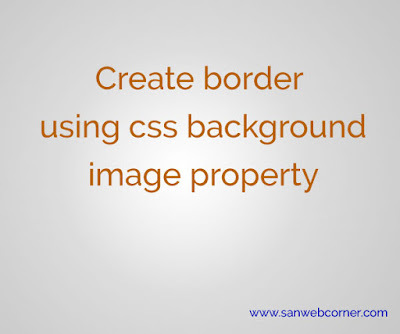 First we have to see how to create the horizontal border using css background properties. First you should set the div height should be same as a image height and then set the background-image:url('image-url') to the particular div and set background repeat: repeat-x it repeat the image 100% width then the border is ready according to your border element (image). Same as you can set the vertical bar using the properties background repeat: repeat-y and set the background image same as a horizontal border. It is simple but very useful for some types of fancy website like temple and photos studio and events types of websites.